The concept of PROBABILITY versus IMPROBABILITY examines the values and uses of probability theory,involving finding patterms that are not always obvious and which enable predictions. Using Big Understandings such as "Choices in data collection can affect interpretation", "Probability is not an exact or precise way of predicting every outome",through to Essential Questions such as, "What benefit are there to predicting outcomes? ", "What couldn't we do if we didn't understand probability theory?". PLUS a choice of creative thinking activities, assessment tools etc. 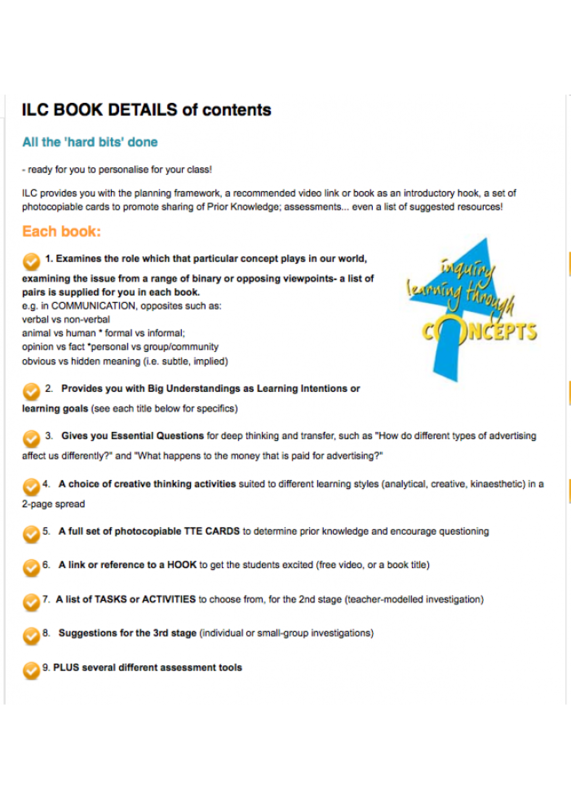 All the hard work done for you - provides you with the planning framework, a recommended video link or book as an introductory hook, a set of photocopiable cards to promote sharing of Prior Knowledge...assessments.. even a list of suggested resources! 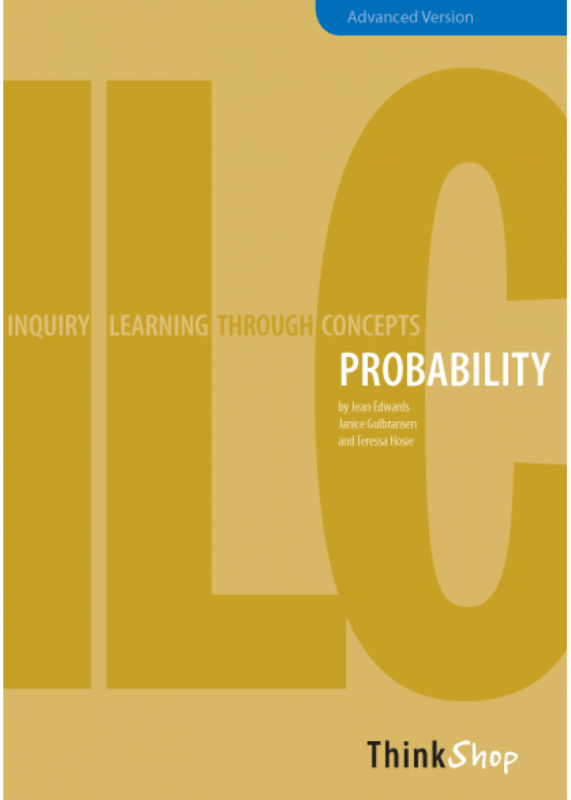 Using the highly-praised "Inquiry Learning with Concepts" model, this unit you a wealth of meaningful activities to lift your students' learning and to build on students' interests and individual understandings. As H Lynne Erickson says (2007), "Using topics and facts as a support rather than as a final destination, will truly lift academic and teaching standards." The concept of ENDANGERED versus INVASIVE examines the causes of endangerment, using Big Understandings such as "Maybe humans are an invasive species" through to Essential Questions such as, "Why a.. The concept of RULES examines the role that rules play in a community or a culture, using Big Understandings such as "Rules are to protect people" through to Essential Questions such as, "When shou.. The concept of SUSTAINABILITY examines the role that humans play in our environment, using Big Understandings such as "Humans should be rethinking our habits, not simply re-using and recycling" throug.. The concept of PROBABILITY versus IMPROBABILITY examines the values and uses of probability theory,involving finding patterms that are not always obvious and which enable predictions. Using Big Und..